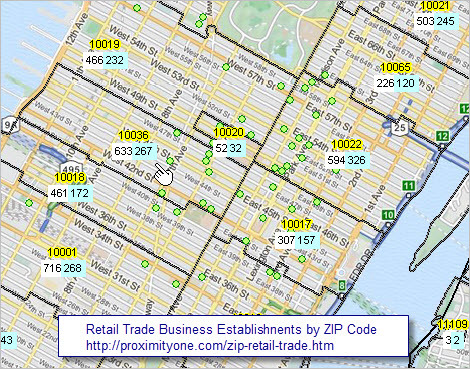 .. among all approximate 38,800 ZIP codes in the U.S. with business establishments, ZIP Code 10001 has more than 7,200 establishments. 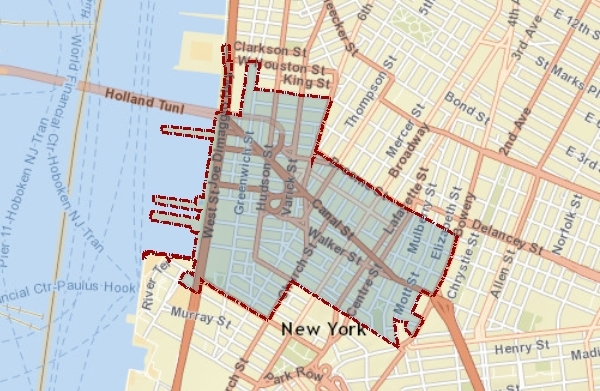 9 of the top 10 ZIP codes, ranked on total number of business establishments, are located in Manhattan (New York County, NY); the 10th largest in Miami. 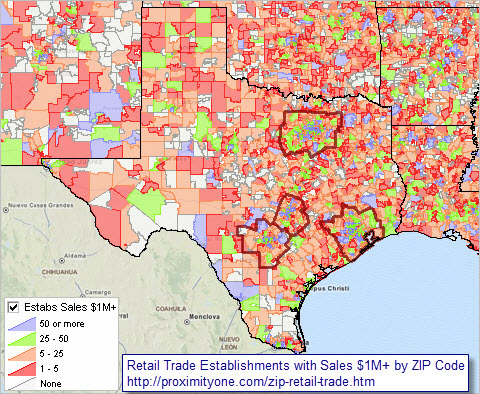 Use the interactive table to examine ZIP code business establishment characteristics of interest. Business establishments are the places of employment that drive and characterize the economy. 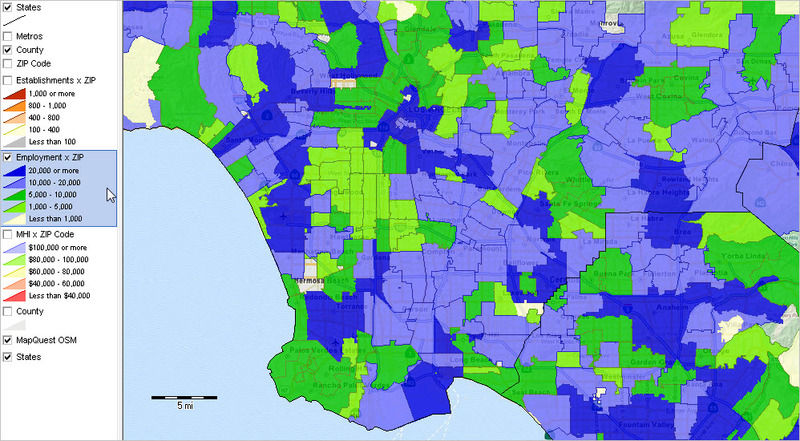 ZIP codes are the smallest geography for which business establishment data are available. 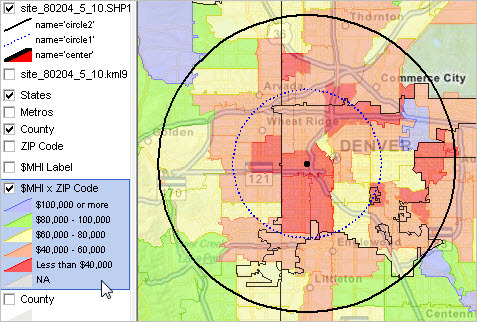 ZIP code business patterns data can help stakeholders identify areas of employment, business opportunities and more. 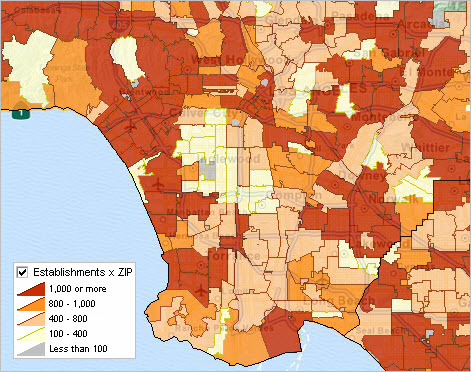 While we can obtain employment data (by place of residence) for ZIP code areas from the American Community Survey 5-year estimates (ACS), the number of establishments and employment by place of work are only available from the ZIP business patterns data. See related Web section. Use the interactive table in this related section to view, query, rank, compare business establishment characteristics among a set of ZIP codes or for a specific ZIP code. The following graphic illustrates use of the interactive table; click graphic for larger view. 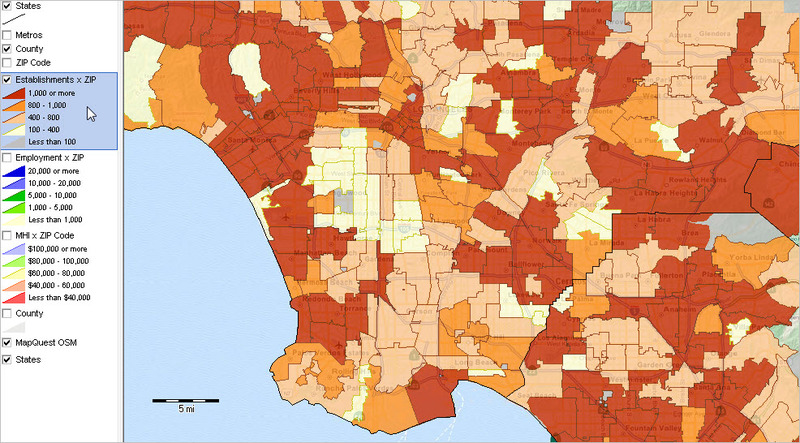 This view shows ZIP codes in the 3-digit ZIP code group 950 in the Silicon Valley area ranked in descending order on number of 2013 establishments. 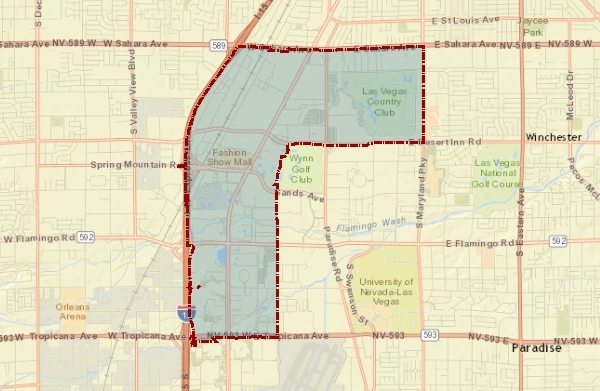 Note that Cupertino 95014 (Apple Computer HQ location) has the 4th largest number of 2013 establishments among all 950 3-digit ZIP codes. – Key in a 3-digit ZIP to right of Find ZIP3> button. – Click Find ZIP3> button. 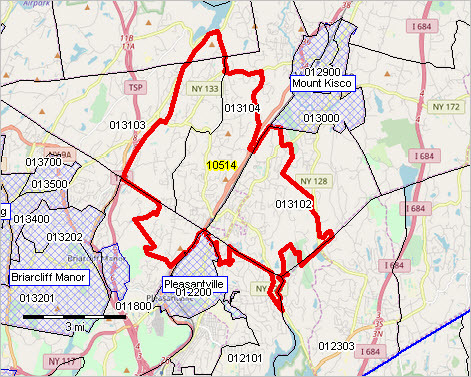 – Click Estab 2013 button to sort the ZIP code.